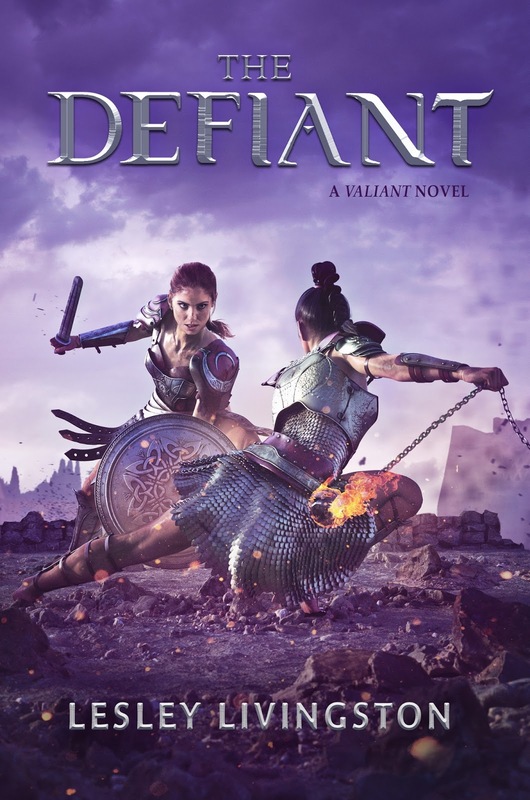 I'm so pleased to be a part of the blog tour for The Defiant by Lesley Livingston, the sequel to last year's gladiator girl story The Valiant. I'm really looking forward to reading this sequel, especially where things left off at the end of its predecessor. I definitely need more of Fallon's tale, as well as hopefully finding out what happens to some of the other gladiator girls too! In any case, I won't be talking too much about the novel today, except for the book and author details you'll be seeing later on. Instead, I'll be sharing gift guide inspired by the gladiator girls... if we were to put them in a modern day setting. 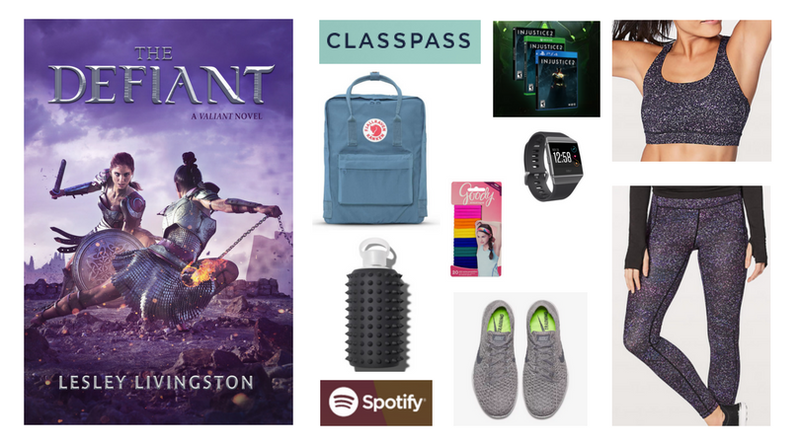 It's really interesting to imagine the girls in our current society, and it was even more fun to try to put together a gift guide that was a little more athletic (since I'm not much of an athlete myself). So, without further ado, check out the gift guide I've put together! Class Pass | The girls do their fair share of training as potential competitors in the gladiator contests. They are taught to develop a variety of skills, and everyone has their own specialty. It would be interesting to gift them the opportunity to try out a bunch of different classes - everything from yoga to soul cycle to dance. Kånken backpack | A girl's got to have something to tote her gear around in, and this backpack is definitely both a practical and cute purchase. It can fit a surprising amount of stuff without being bulky, comes in a lot of different colors and it's quite durable. Fitbit Ionic watch | Even though I'm not necessarily very reliable when it comes to physical fitness, I personally enjoy having my own Fitbit to track my steps and sleep. It would be beneficial for the girls to have these stats during their training, so I think they'd like having one of the most recent Fitbits (which provides more stats) on hand. Nike Free TR Flyknit 2 | Whether to be used as athleisure wear or as actual shoes to wear during a workout, I think this pair is pretty cute! I've always been partial to Nike as a brand, and I think they offer a nice range of colors and styles to suit any gladiator girl. Lululemon Energy Bra + Lululemon Full-on Luxtreme 28" | Even though these girls need no further motivation to train, I bet they wouldn't mind having a cute outfit to wear while they do. They'd need something that was comfortable, and Lululemon is certainly a brand I've heard nothing but good things about (including my sister's personal seal of approval, which I totally trust). Goody Girls Ouchless Headwraps, Goody Girls Athletique Sweat Stretch Hair Elastics) | It'd be likely that many of these fighters would keep their hair shorter, but for those who prefer a longer style, it'd make sense to give them something to hold it back from their face, whether it's a hair elastic or a head wrap. Spotify subscription | While not all folks enjoy listening to music while they're working out, I still think that this would make a really solid gift. It would keep the girls company during their travels, training session, cool-down moments and days off, and they would get the opportunity to customize their playlists. Plus, with a subscription, there wouldn't be ads to disrupt the flow either! Injustice: Gods Among Us video game | All work and no play makes life pretty dull. I do think that the girls would still be drawn to entertainment that allowed them to still sort of train, so I would imagine that fighting games on any console would be of major appeal. Be brave, gladiatrix... And be wary. Once you win Caesar's love, you'll earn his enemies' hate. Now she is about to pay the price for winning the love of the Roman people as Caesar's victorious gladiatrix. In this highly anticipated sequel to THE VALIANT, Fallon and her warrior sisters find themselves thrust into a vicious conflict with a rival gladiator academy, one that will threaten not only Fallon's heart - and her love for Roman soldier Cai - but the very heart of the ancient Roman Empire. Lesley Livingston is an award-winning author of teen fiction, best known for her Wondrous Strange trilogy. 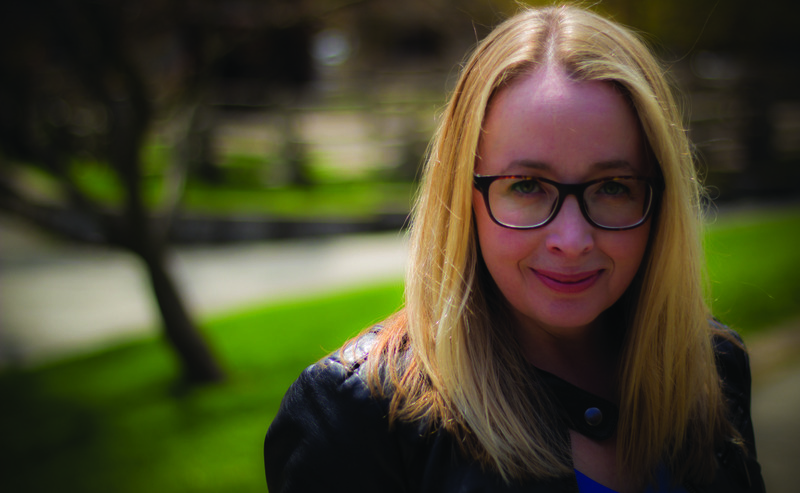 She holds a master's degree in English from the University of Toronto and was a principal performer in a Shakespearean theater company, specializing in performances for teen audiences, for more than a decade. Don't forget to check out the rest of the blog tour!